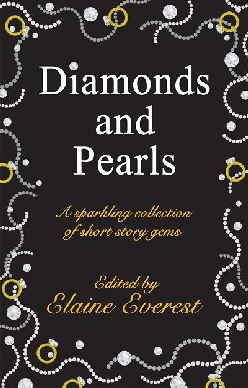 In Diamonds and Pearls Elaine has gathered short stories from many top female short story writers of the decade, including several of her former students, to support the awareness and treatment of breast cancer in the way they know best – the short story. A donation from the sale of each book will go to the Against Breast Cancer charity. A great website filled with information, courses, books and links. Competitions, submission calls and other essential information for writers of short stories and novels. Bi-monthly magazine established 1996. Publishes the best in fact, fiction and poetry; packed full of market information, monthly email News included in subscription package, administers annual Prose & Poetry Prizes. Articles, short stories,quotes and poems. For people who prize writing - formerly Competitions Bulletin. A brilliant resource for all who love entering competitions. The site that spells competitions success. Lists UK skill competitions and UK writing competitions. The Write Place: Creative Writing School. A wonderful writing resource for delving into the past. Contact Katie Carr on 01608 663180 or visit her website. This is hagsharlotsheroines.com, a worldwide community of writers. The site where you can explore and develop your creative writing skills, get your short stories and poems published online, receive feedback and writing tips for fiction and non-fiction, with particular support for writing about women, and where you can meet fellow writers. A new bi-annual literary magazine publishing quality fiction by women writers residing in the UK. Edited by Jo Derrick (formerly Jo Good, editor and publisher of QWF magazine). Short Story competition. Closing date 30th September, 2008. See website for details. ‘This hilarious, informative guide to getting into print is a must-have for anyone who’s ever thought they’ve got a book in them. This book is easy to dip in and out of, filled with a mine of hands-on, relevant information and tips from authors, agents and publishers – and is friendly, fun and a good read. Well worth adding to your bookshelf! The Sarah Wainwright Story: Extraordinary episodes from the life of an ordinary woman by Jean Wild. A story to make you both laugh and cry, as you read episodes from the life of an ordinary woman. Thus reads the ancient prophecy that starts the Silver Dragon on his chosen path of destiny. The Silver Dragon, Robert Alexander the Third, known to all as Robbie, decides to defy tradition, leave his village and go searching for the legendary Great Shining Dragon. Unbeknownst to him, his path will lead him to three ferocious Red Dragons, each of whom he must somehow overcome to fulfil his Quest. As the story unfolds, Robbie – in the company of the audacious, educated mouse, Wilberforce Abercrombie the 27th – discovers his own extraordinary personal powers well as the true meaning of love and friendship. This exciting adventure story of self discovery is a fable that will appeal to all ages. Richard was deprived of oxygen at birth and when he didn’t develop normally, was diagnosed with cerebral palsy, unlikely ever to use his limbs or to speak. His parents were appalled when doctors told them he was not of normal intelligence and that they should put him into a home, forget him and start their family again. They refused to accept it and this inspiring book by this mother, describes their heroic struggle against all odds to help him to learn to read, write and communicate with the help of a computer, operated by a pointer strapped to his head. He gained a place at grammar school and a university education at York, culminating in a PhD from the University of Wales at Swansea. He also wrote two books of poems which expressed his feelings and his care for others and learned to paint. Despite his enormous difficulties and life in a wheelchair, he was able to accept and give a great deal of love. The family greatly valued Richard and later a sister, Debbie, arrived and then a brother, Michael. Now, it is hoped that this amazing story of faith, courage and love, will bring encouragement to others who may be in a similar position.